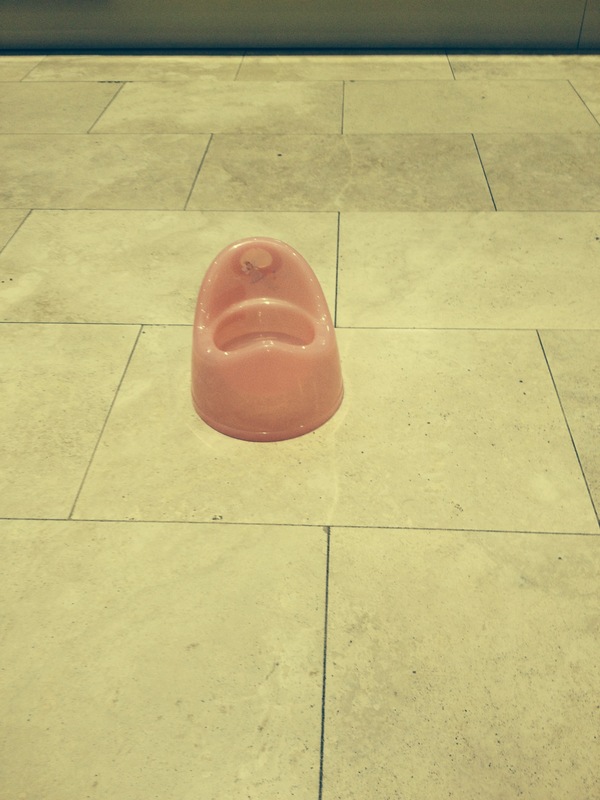 ‘Potty training is really fun’ – said no-one, ever! All of her siblings are now at full time school – so she can have some undivided attention (for once, poor thing!) People ‘helpfully’ say things like ‘oh, it will be easy 4th time round, you know what you’re doing’ etc etc – but it’s first time round for the bladder in question – and all of the kids are so different. She has shown absolutely no desire to wear pants AT ALL – in fact when we’ve mentioned being a big girl and using the potty, or loo, before she’s just flat out refused and said she wants to keep wearing a nappy! Our lovely nanny started the process yesterday – with mixed results! Lots of accidents first thing – a big chunk of the day ok – and then when I got home at 5pm accidents galore again. So I removed the night time nappy with trepidation this morning! As she was getting a chocolate button every time she managed to do a wee in the right place, I did wonder if I could have a gin at that point too?!? But it’s a good job I didn’t…….. I am sure we won’t have totally cracked it (haven’t even considered the whole poo thing yet) but I am so proud of my littlest girl. Maybe I should have a gin every time she has an accident………….